Change, change, change. It feels every stage of life brings more and more change. When I was feeling a bit overwhelmed this year with all the change around me, one of my peers offered me some (unsolicited) advice:” Change is the only constant in the world.” Although I beg to differ, I do know a place that will always be more constant than change in my life. Exactly a year ago, I drove away from Rockbrook Camp for Girls and towards Ann Arbor, MI to start medical school. My life became busy with deadlines, schedules, exams filled with what seemed like endless memorization. To make things even more hectic, my schedule was different every week and change became my new normal. Needless to say, it’s been a busy year with so much change, and it seemed that as the year went on, I realized I didn’t take time to reflect on who I was and whom I was becoming. 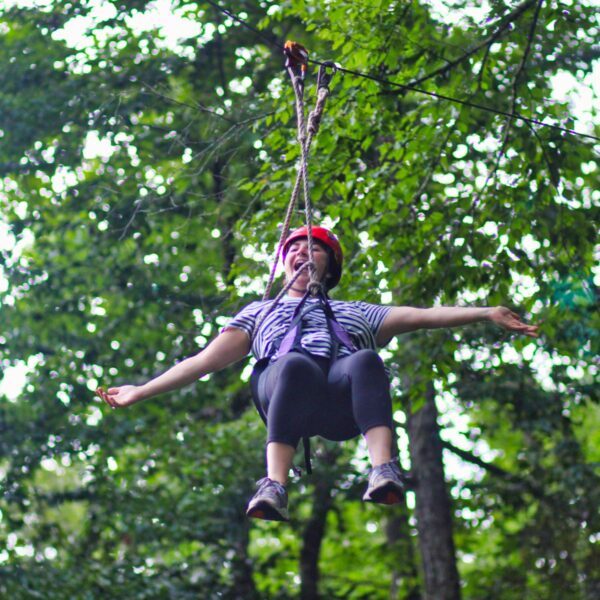 When I made the choice to come back to camp this session—even just for 10 days—I wanted to make sure it was for the right reasons. I have spent so much of my year worrying about my own needs and filling my own cup that I wanted to give back to a place that gave me so much. Many of my camp friends and campers would not be present during this session, so I was nervous to come back to a place where so many of the people that made it special were no longer there. 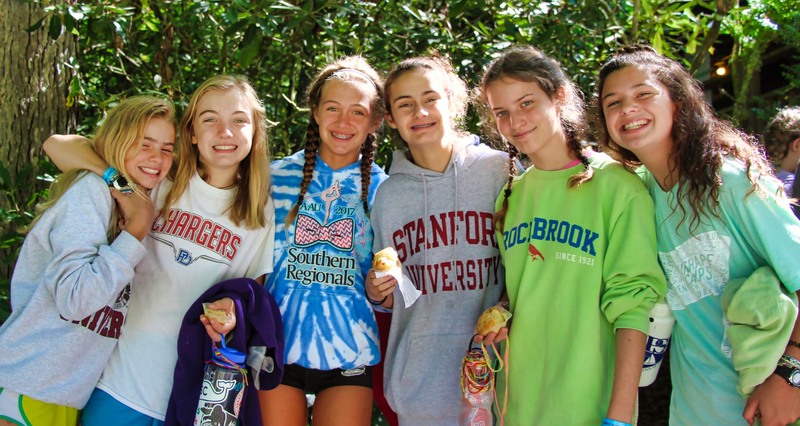 With those friends and campers that were at camp this year, I knew it would be important to avoid showing up with expectations of what I wanted my short time at camp to be. In a happy turn of events, my short time here has turned into so much more than I ever expected. When I arrived, I was expecting camp to feel different, and yet, camp hasn’t failed to bring the incredibly familiar. As soon as I caught a whiff of the camp smell, it felt like I was home. It felt like for the first time in over a year, I was able to hit pause and look around. The crunching sound as we walk through the rocks at camp, the beautiful wooded mountains in the background, the chilly lake waiting for campers to jump in— how I took these simple sights for granted! 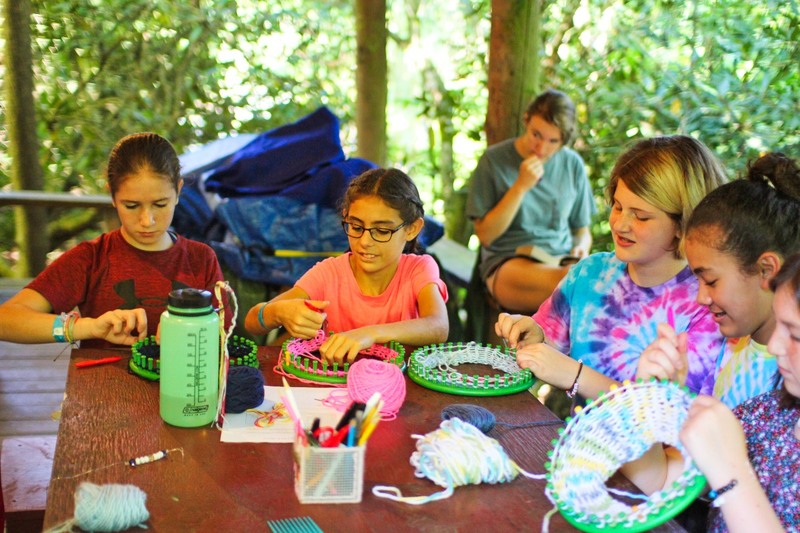 In addition to these consistent sounds and scenes of beauty, I’ve realized camp brings other timeless qualities to new and old Rockbrook girls that make this place a home base for so many of us. The best part about this familiarity is that I’m not the only one who feels it. 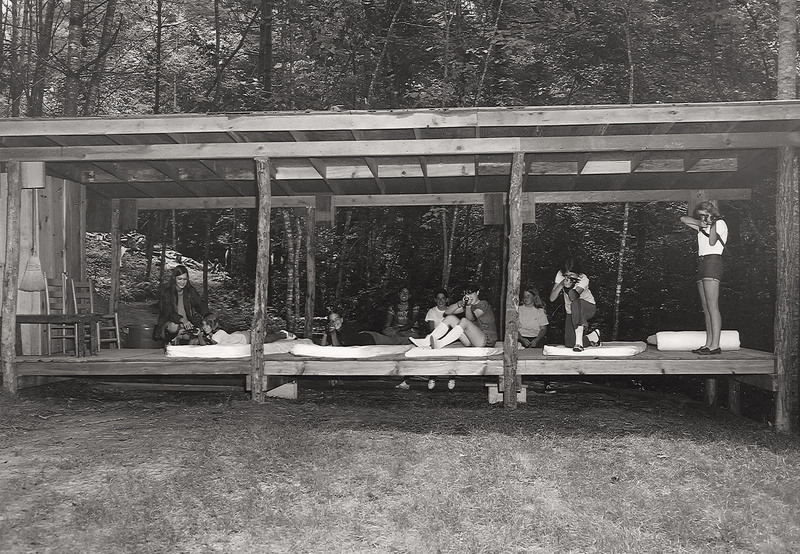 A few days ago, I met an alumna from many years ago who described the sense of comfort that walking through camp brings her; she knew Rockbrook as the place that helped her know who she was and who she always wanted to be. So relatable! Just a few hours later, I heard the same words from some current campers on the senior line. They talked about how much they wanted to bring their camp self to their lives year-round because they knew that here they are their best selves. How exactly do we become our best selves? While I think there are many answers, I have a hypothesis: Camp reliably brings us routine and, in that routine, so much comfort. This comfort gives us the space to be our best selves. This is a place where we build each other up and we begin to judge our successes based on the success of our community and not our own personal success. By investing in each other, we inevitably become the best version of ourselves. How did I get so lucky? In a world that seems to never stop bringing change, it is so nice to know that we have Rockbrook to remind us of who we are. I get to have a place to come back to that will—without fail—always remind me of who I am and can be. What a gift. Thank you Rockbrook for another great summer. Thank you for all the new and old friendships. Thank you for always being more constant than change and never failing to be exactly what I needed. Robbie from Go Swan Filmworks recently spent another day at Rockbrook filming, capturing on video some of the ordinary sights and sounds of camp life. The edited clip, despite being less than 2 minutes long, conveys wonderfully the atmosphere of camp so loved by the everyone here. 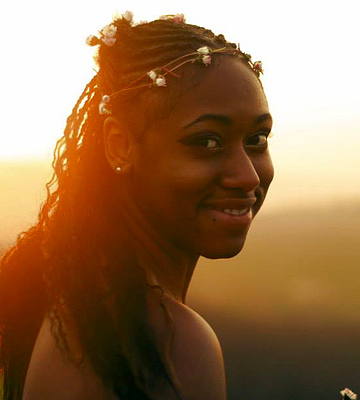 During the Spirit Fire that closed our recent Second Session, Tenisha was one of the first-year counselors who spoke about her experience on the staff at camp. 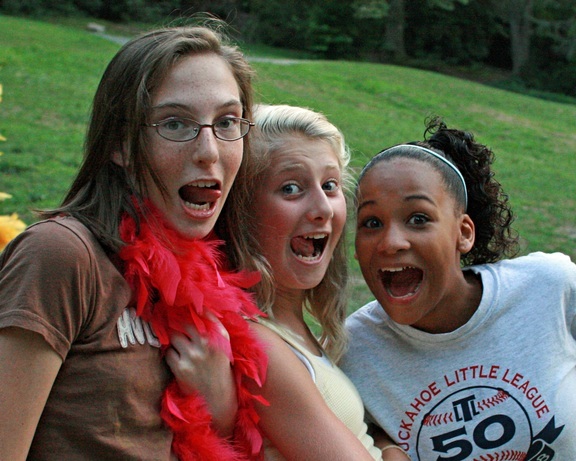 She described her feelings as someone new to Rockbrook, and how the character of our camp community has affected her. We thought it was wonderful, and wanted to share it. “Sitting at home and thinking about what I would do this summer, I knew I wanted to do something different, something new and extraordinary. I wanted something where I would make memories that I could reminisce about later, something that would teach me lifelong lessons, something that would teach me how to be a better person, but most of all I wanted something that had a positive environment where I could be happy. After watching the camp videos over and over on the website, I knew I would find all those things at RBC. Seeing all the smiles and laughter, all the costumes and events cemented my decision to apply. When I spoke to Sophie on the phone I knew I made the right choice. Listening to her enthusiasm about camp, my first thought was she’s not real. There’s no way someone could be that excited about anything, but my second thought was that I have to see what sparked so much happiness and excitement. From the moment I entered camp I was greeted with genuine welcome from the Directors and counselors I had never met before. Within the first week I had friends and by the third I knew I had found life long friendships. I remember one day I was walking down senior line being greeted by smiling faces and it wasn’t until I reached the end that I realized my cheeks were aching from smiling so much. I was genuinely happy. I realized that even though I reached the end of the senior line, I didn’t want to reach the end of my time at Rockbrook. Rockbrook: where girls learn to grow. When I came here, I had no idea I would be one of those girls. With the help of the the Directors, my co-counselors, and other counselors who came to be close friends, I found that I grew into a Rockbrook girl who stops every chance she gets to take in nature and appreciate her, who laughs and smiles everyday because she’s surrounded by kindhearted people who care, who wakes up with a spider by her head and doesn’t panic but catches it and releases it outside, a girl who became a sponge wanting to soak up every song, every fact about the camp activities and traditions. 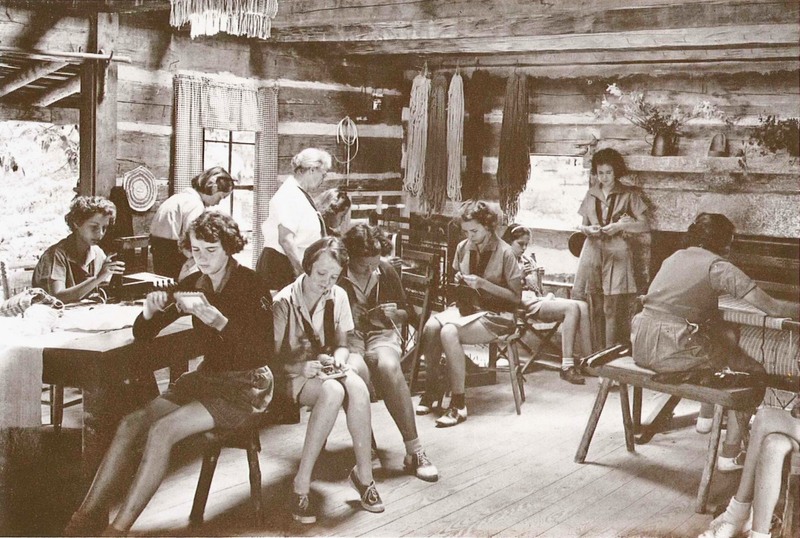 One of the many unique traditions of Rockbrook is the signatures in many of the cabins. 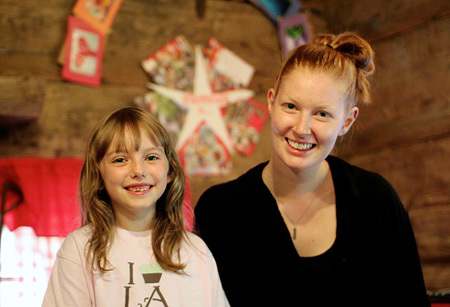 Campers can sign their names along with the year and session on the inside, allowing them to leave behind a little bit of their legacy that they can return to years later. There are also a few special places besides cabins where signatures can be found. One of my favorite places at camp to read the signatures is the rifle range. The signatures on the range date back to the 1960’s (the original range was located where Nature Nook is now). As a riflery instructor, I have spent a lot of time at the range and have enjoyed reading the Riflery Woman of the Week plaques from the 60’s or the “We Creamed Keystone” or “Carolina was shot down today!” victory declarations from tournaments. As a camper sitting on the student bench, one name really stuck out to me: “Jane Spell High-Up 77” is written in a light blue paint that seems to only have gotten brighter with age while other names have faded. I’ve always wondered what she used to write that with! Later as a riflery instructor, I read on the inside of the gun cabinet where Spell supposedly “ate a bullet 7-25-77.” I always associated Jane Spell with the rifle range and was excited to meet her one summer and later learn she and my mother went to camp together. One of the most exciting parts of being a riflery instructor is getting to name the guns. The girls enjoy calling the guns by their names and returning each year to shoot their favorite gun. We have Annie Oakley and Drop Dead Fred for the classic Westerns, Draco Malfoy and Captain Jack Sparrow from recent big movies, Guildenstern from Shakespeare, and Big Daddy, Bad Momma, and Little Bertha too. Some old favorites who have since been retired are the Fresh Prince of Bel Air, Oscar the Grouch, and Old Dirty Betty. I chose to name one of our new guns “Spell” in honor of Jane Spell, who has always been a part of the rifle range to me even before I met her. The gun reads “Spell” and then in a smaller print: “eating bullets since 1977.” This summer the campers were so excited to shoot the new gun. 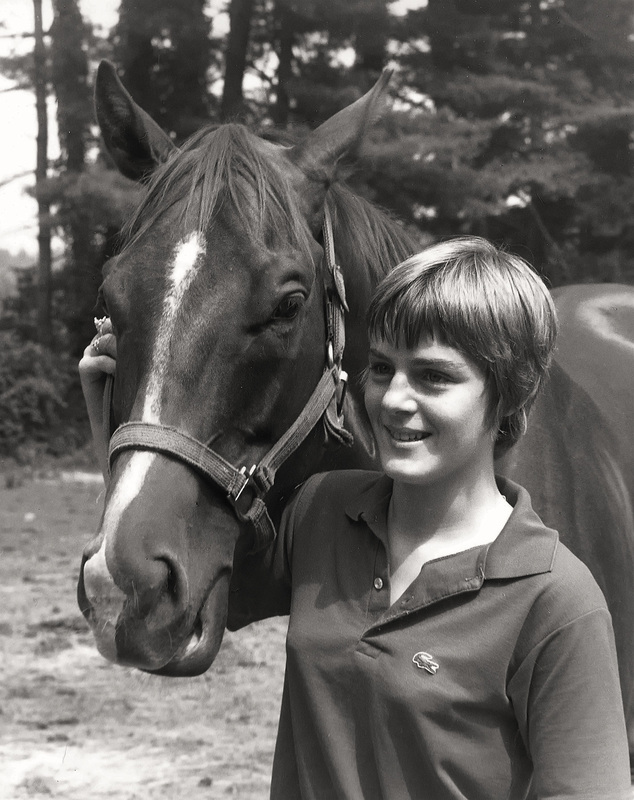 Every time we had a new group at the range, someone would ask, “Is Spell named for Jane Spell?” Their next question would then be: “Did she REALLY eat a bullet in ’77?” I wasn’t there in 1977, so I can’t for sure say if she did, but I do know Jane Spell became a Rockbrook legend when it was written in the cabinet! 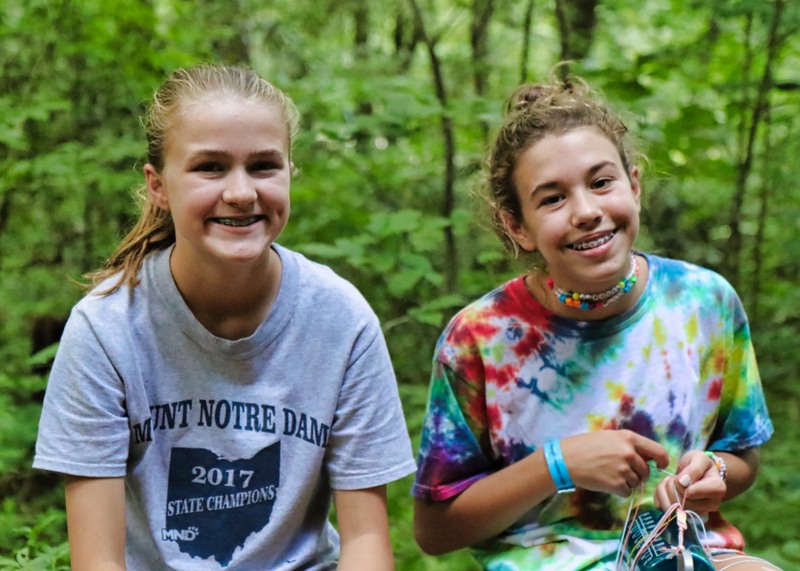 Moxie is a good way to describe it… that impressive quality these Rockbrook girls have driving just about everything they do, from singing songs in the dining hall, to making tie-dye t-shirts, to learning how to canoe. The word is a neologism, more well known in Maine because of the soda, but it’s a great way to describe having “vigor, verve and pep,” “courage,” “skill and know-how,” as my dictionary defines it. 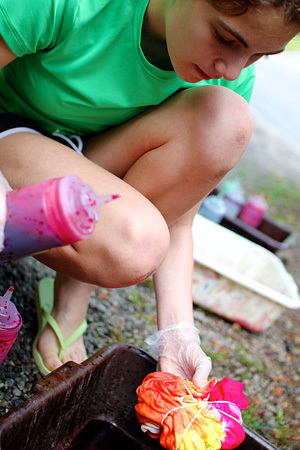 There’s something about camp that brings out the moxie, making everything more fun and exciting. It’s akin to a “spirit for life,” an enthusiasm for doing. 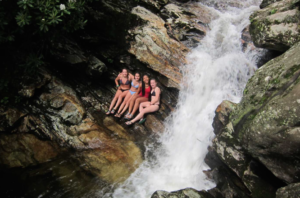 All kinds of adventure, sports and creative activities, punctuated by free time with friends and wrapped in a multicolored layer of silliness, is the name of the game around here. And like one Rockbrook song puts it, these girls have “ginger, pep, spirit, grit and wit,” making it all the more awesome. 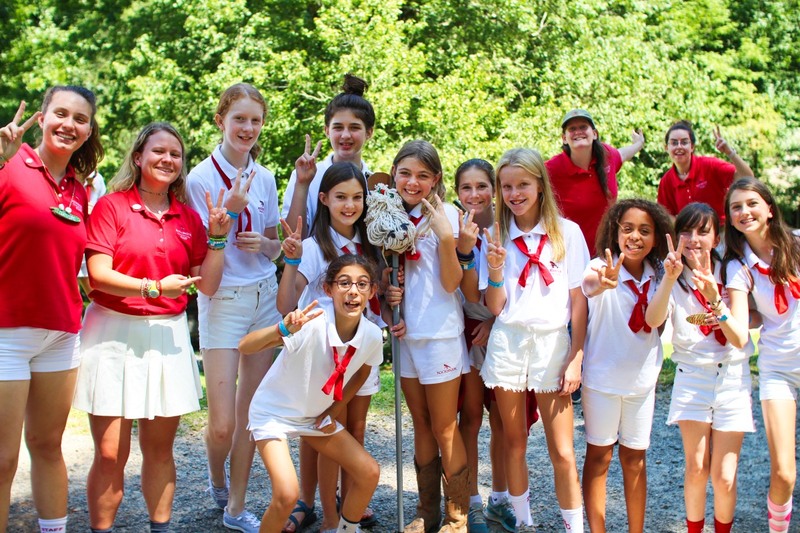 With this kind of fun happening each moment at camp, with these girls exercising their moxie, it’s easy to forget that through the tunnel and down by the river, the Rockbrook Equestrian Staff and their 29 horses are just as busy teaching horseback riding. Kelly, the Equestrian Director, told me she’s got 93 campers placed in classes throughout the week, ranging from beginners to advanced riders. Kelly places campers interested in riding into lessons that match their interest, experience and current riding ability, and then those classes meet several times each week. It becomes a complicated schedule, but also a busy one given how many girls want to ride this session. The advanced riders tend to be out in the late afternoon, so that’s a good time to see jumping and faster cantering. It’s just beautiful to watch, especially in the upper pasture where the view of Dunn’s Rock is so prominent in the background. Coming in the morning is a treat too though because you can talk with the youngest riders, see them learning the fundamental skills of riding and relating to their horses with such care and attention. 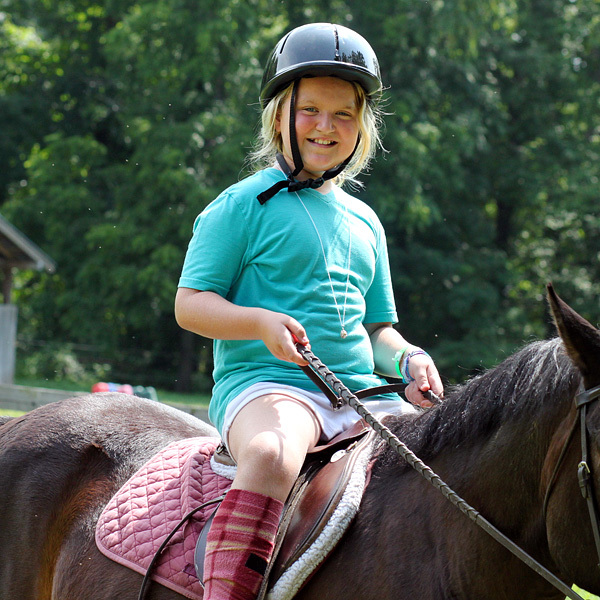 No matter what their level, horseback riding for many girls is their favorite activity, and is quick to bring out the most wonderful smiles and feelings of accomplishment. 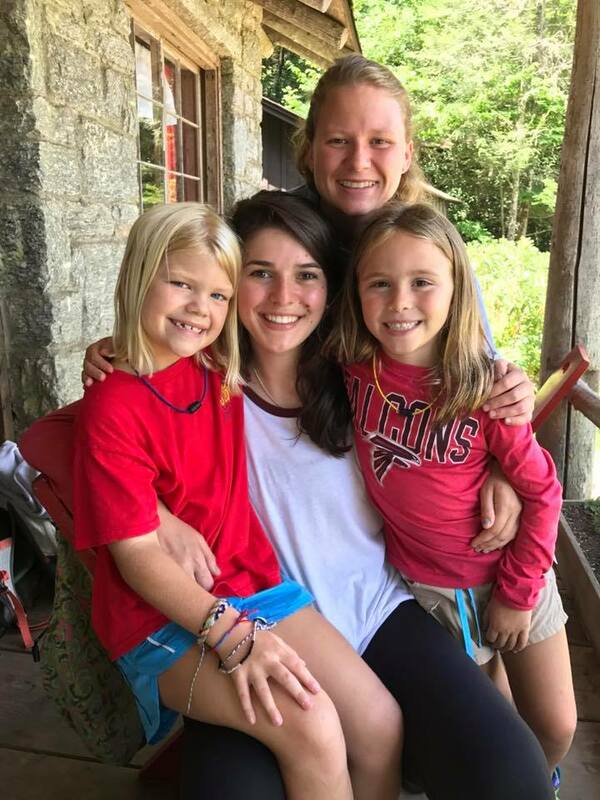 Moxie describes the pulse of our campers really well, but when it comes to the counselors this session, their moxie can be seen in the patience, compassion and caring at the core of their relationships at camp. Here too, these great young women are confident and lively in their teaching. 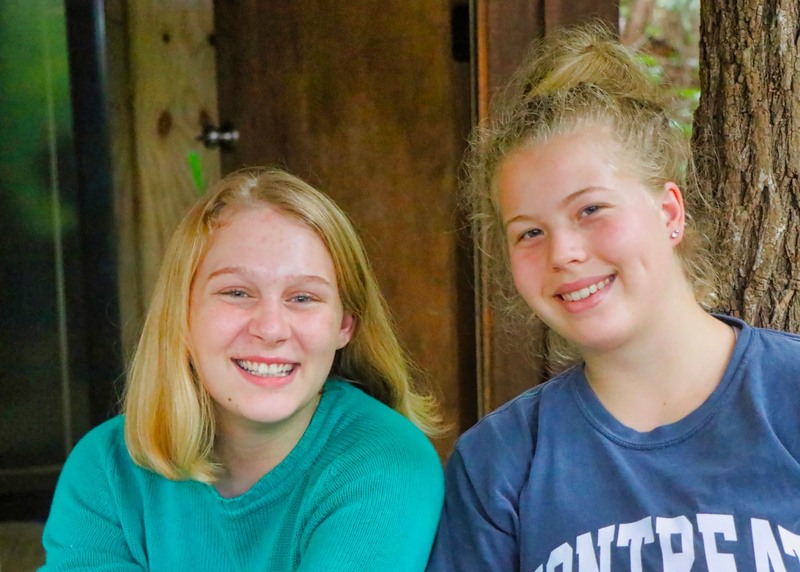 They are fantastic role models, trustworthy and responsible, treating everyone fairly and with respect, and at the same time enjoying themselves and laughing just as hard as their campers. 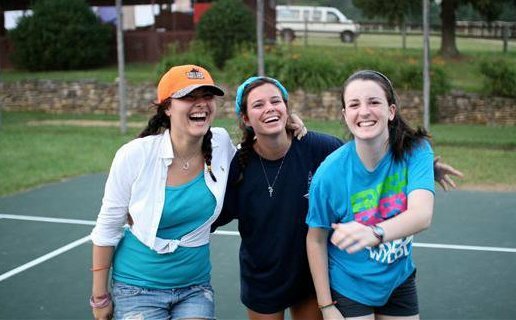 Our counselors have a “spirit for life” at camp, a verve making them friendly and instinctively aware of their camper’s needs. Sofie and the other Rockbrook directors take great care recruiting staff members, but it’s this special quality we’re looking for. 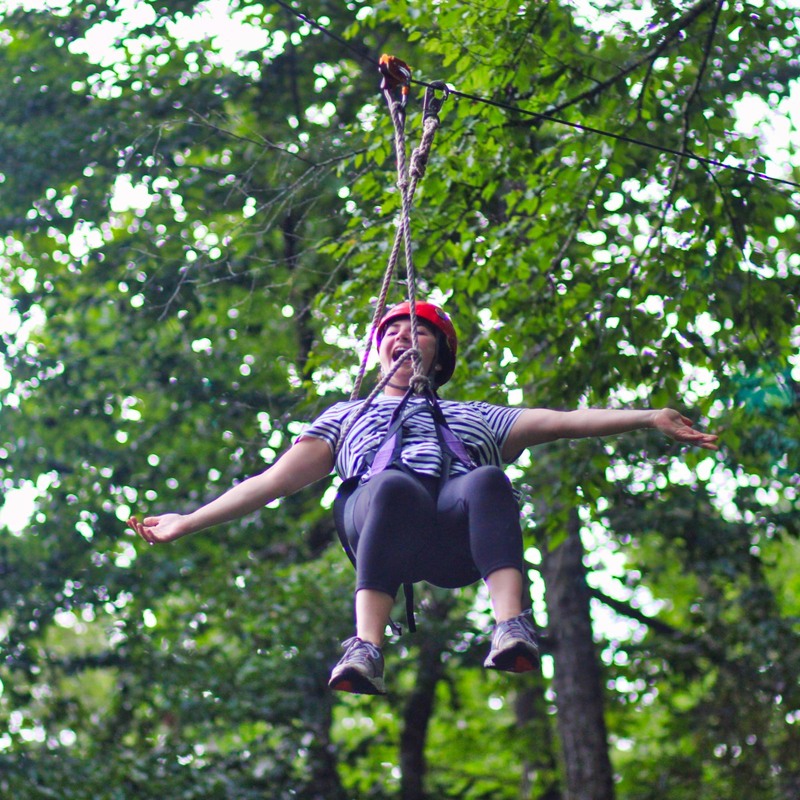 We know it makes the best counselors, and this summer, they’ve definitely got it. 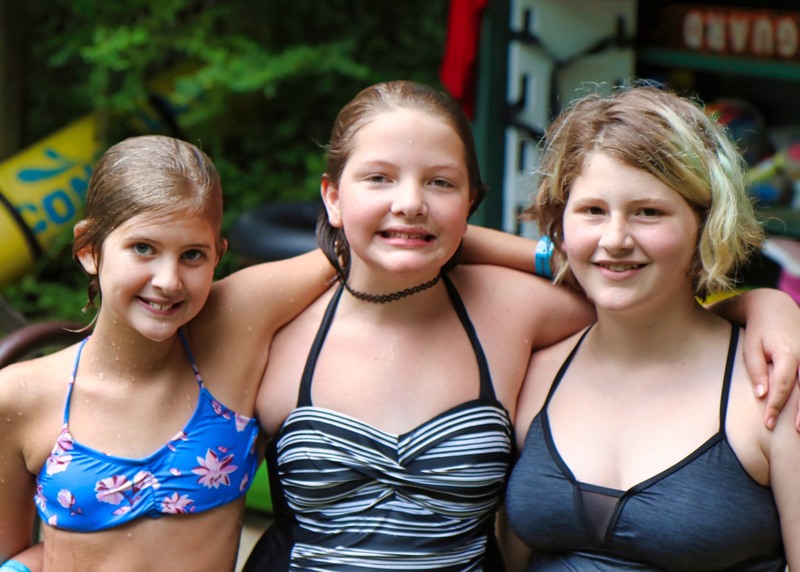 When the summer wraps up and your girls return home, we hope you’ll see their moxie a little more clearly, and marvel at its power in new ways. 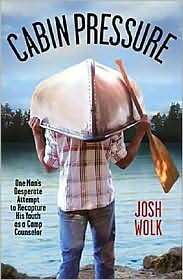 Back in 2007 Josh Wolk, a writer for the magazine Entertainment Weekly, published a book about life at summer camp entitled, Cabin Pressure: One Man’s Desperate Attempt to Recapture His Youth as a Camp Counselor. 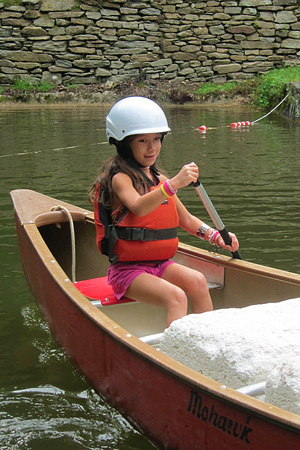 To write the book, Wolk decided to go back to the same summer camp he attended as kid and be a cabin counselor, to spend a summer living with the kids, teaching activities, and eating in the dining hall. Part nostalgia trip and part a return to innocence (reliving boyhood memories before getting married and becoming “an adult”), the book is well written and is really funny. By introducing you to the campers in his cabin and the other staff members, the book helps readers understand camp from the inside. It shows the complex human relationships at play there, the funny and poignant moments happening all the time, and ultimately why so many people absolutely love camp. Now, word is out that Derick Martini (best known for directing the 2008 film “Lymelife”) is going to film a movie based on Wolk’s book. We’re not sure about the production schedule or the cast at this point, but we know that the film will be a comedy about summer camp. Cool! We’ll keep you posted and, meanwhile, look forward to seeing the film!